Gurney Journey: Teaser for "The Real T. Rex"
Karin Spijker asks: Is that varnish over a handmade gouache painting? James Gurney I'm varnishing an oil painting, though I did some gouache studies before starting the oil. 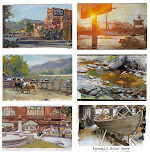 James Gurney Yes, I've got extensive coverage of behind-the-scenes, and will release a free YouTube version and a longer Gumroad tutorial about unconventional painting techniques. I like how its emerging from the primordial mists of the spray varnish. :) Really beautiful work. The painting looks wonderful. Can't wait for the Gumroad tutorial. What do you think pesronally James - did the T-rex have feathers? Vladimir, yes. The paleontologists I consulted with, such as Stephen Brusatte, convinced me to include simple hair-like feathers, especially along the neck and back. Whenever members of the tyrannosaur line have been preserved in detailed fossils (such as Dilong and Yutyrannus) they have had feathers, so there's no reason to expect that T.rex would be uniquely featherless. Thanks, Robb and Scott, I'm using Kamar finish varnish over oil. I've always wanted to ask: is becoming a paleoartist fairly similar to being an artist for other fields such as gaming, etc? I've always felt it was a bit out of reach because of the very specific knowledge needed on animal anatomy, paleontology etc. Would it require some sort of education in the field (Masters etc) or would it suffice to just do as much research on your own as possible? 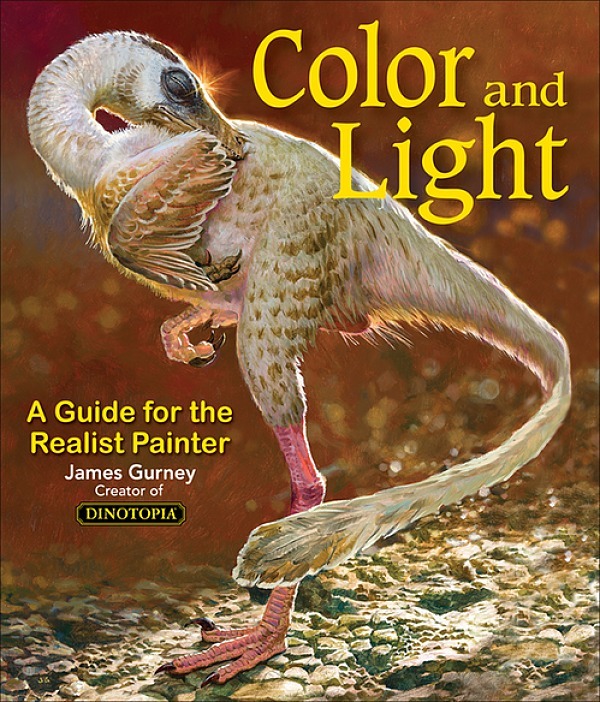 What would you recommend to an artist who is thinking of putting their toes in the water of paleoart? Also, is there a difference between what you do (ie very detailed accurate art for scientific publications) and let's say dinosaur children's books?